Comer Industries and Lampson International: a successful partnership. To develop its new crane with 3,000 tons lifting capacity, Lampson chose Comer Industries hydraulic winch gearboxes. Lampson LTL-3000: technological leader in mega cranes. 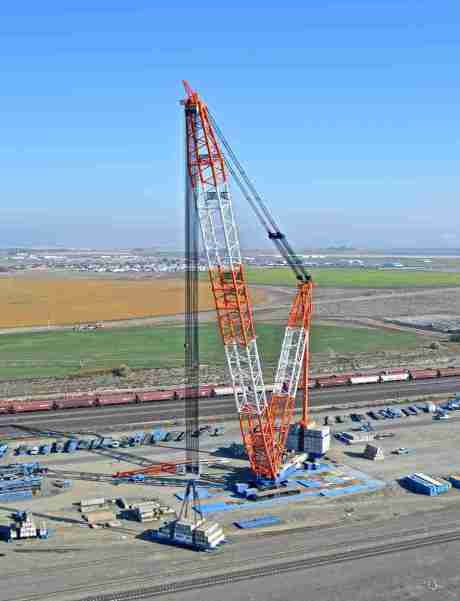 To develop this new crane the Pasco, WA based company chose Comer Industries to provide the hydraulic winch gearboxes. Main hoist lifts are made using eight 270 kNm capacity gearboxes. Smaller capacity drives power the whip and auxiliary hoists. As with all US customers of Comer Industries, the project was supported by the company’s North American subsidiary, Comer Industries, Inc., located in Charlotte, NC. Randy Stemp, Engineering Projects Manager at Lampson says, «When Lampson decided to construct our next generation of hoists for our Transi-Lifts and 4100 Millennium crawler crane, we knew we needed a company that shared our same values of quality and integrity. It was an easy decision for us to partner with Comer Industries. Comer Industries sales team has been prompt and knowledgeable, their engineering support has been invaluable to development of our systems, their delivery has been as promised, and their pricing fair and reasonable. What more can you ask for?». Providing hoist drives for cranes of all sizes is not a new challenge for Comer Industries. For nearly 20 years Comer Industries has been designing and manufacturing gearboxes for a wide range of crane applications including track drives, main hoists, boom hoists, slewing drives, luffing jib and whip hoists. Laboratory bench tests for specific crane applications have been conducted by Comer Industries in their dedicated R&D test facility, the Mechatronic Research Center. Specific calculation tools have been implemented and verified on the field: this approach aims at the correct sizing of the drive, granting safety standards are achieved. Having 70 kNm peak torque, the PGRF-7003 is the smaller drive of the case rotating range. Typical crane applications are all terrain and crawler cranes winches. This, together with Comer Industries’ experience in the market place, provides flexibility in gearbox selection and confidence that any gearbox offered has been well tested and proven to provide years of reliable service. Comer Industries business model development is based upon EFQM (European Foundation for Quality Management) methodologies. This internal process and safety control assigns each gearbox component a classification with regards to failure and level of safety. Different levels call for different process controls or sub-supplier selection. A separate metallurgic laboratory at Comer Industries’ Headquarters analyses individual key gearbox components to guarantee their mechanical and chemical properties, and ultimately the safety of the crane itself. 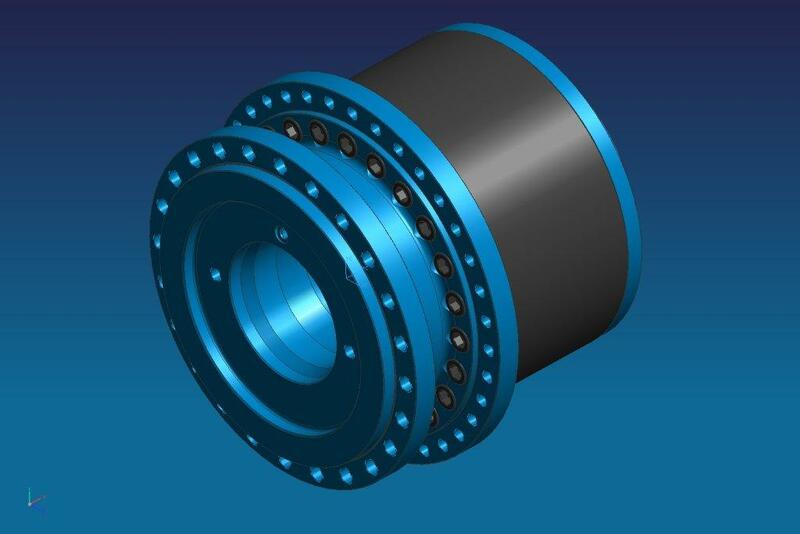 Thanks to the stiffness of its design, the PGRF-11003 best fits track applications in mobile machines. In addition to laboratory testing of gearboxes and components, Comer Industries has considerable experience assisting customers with field tests aimed at validating specific applications and shortening the time to market for new machines. 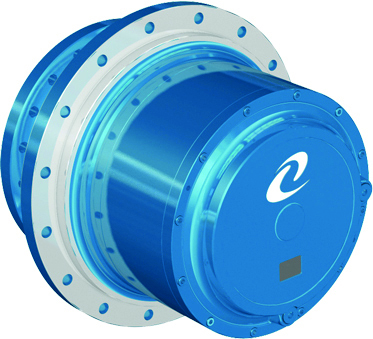 To compete in a more and more demanding and competitive market, Comer Industries has recently launched a line of drives with torque ratings from 70 kNm up to 450 kNm. These compact efficient drives can be applied easily as wheel or track drives or to winches in lifting applications. Standardized rotating flange connections allow easy installation into a wide array of applications. Industry standard hydraulic motor connections let customer choose their favourite motor manufacturers. Comer Industries offers the complete power transmission solution, whether the job requires custom engineered product or a more standard solution. An innovative engineering approach together with the recognised know-how in the crane market, make Comer Industries the preferred partner in the lifting business. PGRF series has very compact design allowing drum dimension and weight reduction.
. please look into this matter ,please provide us quotation for C I F Yangon price (USD)along with specification ,payment term ,price validity, delivery period.and country of origin before 1 12.2017.please see as follow… please reply as soon as possible.Thanking you and assuring of our best attention always. Your quotation is requested for the supply of the following equipment and/or materials in accordance with the general terms and conditions as detailed below. As per attached List and Photo. All the equipment and materials must be brand new and genuine covering with manufacturer’s warranty.